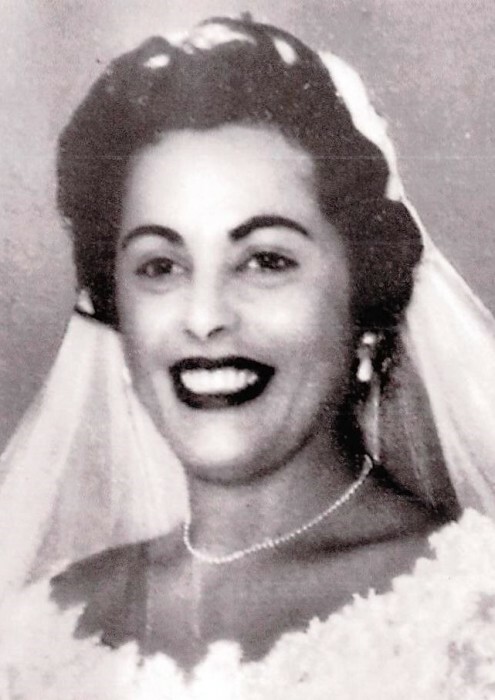 Despina Callas (91) of Colonia, NJ, died on January 27, 2019. She was the beloved wife of the late Gus Callas for 51 years. “Dee” graduated from Trenton State Teacher’s College (now known as The College of New Jersey) and taught 4th grade in the Paterson school system until becoming a mom to Evan Callas (Ann Marie), Stacey Connelly and Cynthia Callas Bonn (Greg). Artistic and athletic, she enjoyed painting, tennis, dancing, and bowled in a league for many years. She was an avid reader, traveler, and possessed an unrivaled green thumb. Dee and Gus loved to entertain and there was always something delicious cooking on the stove. In their later years together, they had a standing appointment at 3PM to enjoy their Greek coffee and a game of backgammon, cards or Scrabble. Dee loved her Home Shopping Network, diet cream soda and Mallomars, but most of all, she loved her grandchildren, Christopher, Ryan, Nicholas and Stephanie Callas; Caitlyn Connelly; and Justin and Lauren Bonn. She will be best remembered for her spirited, non-grandmotherly sense of humor. Her grandchildren already have many legendary “Yiayia” stories. She will not soon be forgotten. Friends and family may visit the Gosselin Funeral Home, 660 New Dover Road, Edison, NJ 08820, on Friday, February 1st from 10AM – 12 Noon, followed by a blessing at the funeral home. Private Interment.